Winter offers a whole range of unique activities for outdoor enthusiasts, but participants need to be in great physical condition to lower the risk of any injuries. Skiing and ice skating can strain muscles in ways other sports or activities do not, and even household chores like snow shoveling can be dangerous. To avoid any painful accidents, consider taking these steps before engaging in outdoor activities during the winter. According to the American Chiropractic Association, working out before an exercise or outdoor pursuit in the cold is critical for minimizing the possibility of any unforeseen problems. Winter weather causes muscles and blood vessels to contract. This reduces the blood supply to your arms and legs, lowering the capacity of muscles. This problem is less severe in athletic individuals, but can leave anyone vulnerable to injury. The ACA reported that although consistent conditioning is ideal, preparing for an activity with walking or exercise is important to make sure the body is ready for more strenuous pursuits. Jogging, biking or any other aerobic warm-up activity is advisable before attempting things like snowboarding or winter hiking. Likewise, wearing the right amount of protective clothing is key for keeping the extremities warm. Different winter sports and activities put stress on different parts of the body, and for that reason, each one should be prepared for in a particular way, according to the ACA. Skiing and snowboarding, for example, can put immense stress on the legs and knees. For that reason, the ACA reported that preparing for a day of skiing with squats is a good way to stretch your legs and buttocks. This will keep the blood warm and flowing through your muscles in preparation for the added strain associated with skiing. 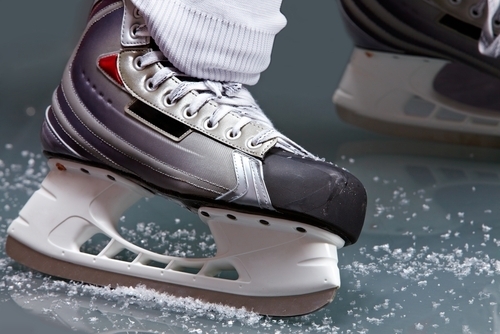 Ice skating is another winter activity that can be hard on the legs and knees. The ACA stated that squats or lunges are a good way to stretch your muscles, which will help with flexibility and for preparing for extra stress on your calves. For either activity, anyone who is not physically fit should not push their body too hard. Winter hiking is enjoyable, but snow and ice can put added stress on your body. Be sure to adequately prepare for a winter hike by stretching, bringing adequate clothing and your triple sensor Pro Trek watch to monitor any inclement weather. Designed for temperatures as low as -10C /14F, the PRG300-7 is the perfect winter weather accessory that stays one step ahead of Mother Nature with Casio's triple sensor technology that features an altimeter/barometer, thermometer and compass. According to the ACA, even sledding can put the body at risk for strains and other injuries, and it is worth stretching before hitting the slopes. For any winter activity, resting and stretching intermittently throughout is also crucial for restoring flexibility and helping the body recover. Even mundane chores like shoveling snow can put the body at risk for extra strain. Science Daily reported that 11,500 people are hospitalized each year with injuries caused by snow shoveling. This includes muscle strains and back issues, but also more serious ailments like cardiac arrest. According to the National Safety Council, shoveling snow is dangerous because it is much more physically demanding than people might expect. For middle-aged or older adults, especially those who do not exercise during the winter months, this added stress can cause real problems. Along with preparing with stretching or a light work-out, the NSC suggested there are a number of ways people can lower any risk of injury caused by snow shoveling. For example, shoveling should not be done after eating or smoking, and especially heavy snow should be avoided. It is also best to work slowly, lift with the legs, and take breaks. Working to the point of exhaustion or over-extending yourself can lead to hurting your back or sustaining other injuries.